The Dragon Sword by John R. Phythyon, Jr.
by John R. Phythyon, Jr.
A murdered mage. A legendary sword. A chilling destiny. Calibot hated his father. The world’s most powerful wizard had little time for a son interested only in poetry. 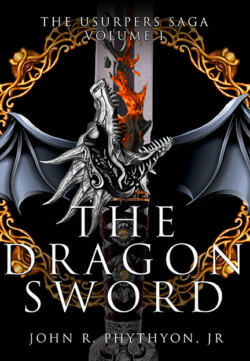 But when his father is murdered, Calibot is bequeathed the legendary dragon sword, Wyrmblade. Enchanted within the sword’s steel are the secrets to unlock even greater power, perhaps even mastery of The Known World itself. But using its magic could cost Calibot his soul. Worse, this may have been his father’s intention all along. As he struggles to complete the mad last wishes of the father he loathes, everyone with a stake in The Known World’s future will try to stop him – his power-hungry uncle, the murderer, even an earth fairy bent on revenge. If Calibot fails, he dies. If he succeeds, he’ll lose everything he’s ever loved . . . including himself. A sweeping epic fantasy begins!